A new Express Entry draw held on November 28 issued 3,900 invitations to apply (ITAs) for Canadian permanent residence. This draw is remarkable in a way that it has raised 2018 year-to-date total number of invites to 82,000. 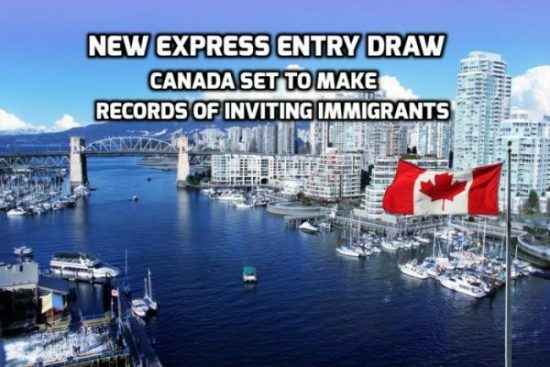 This has made an unprecedented record, if compared to the last year, when the Express Entry invitation number was 86,023. The minimum Comprehensive ranking Score (CRS) for this draw was 445, demonstrating a decrease of four points from the previous Express Entry draw held on November 15, which had a CRS minimum of 449. 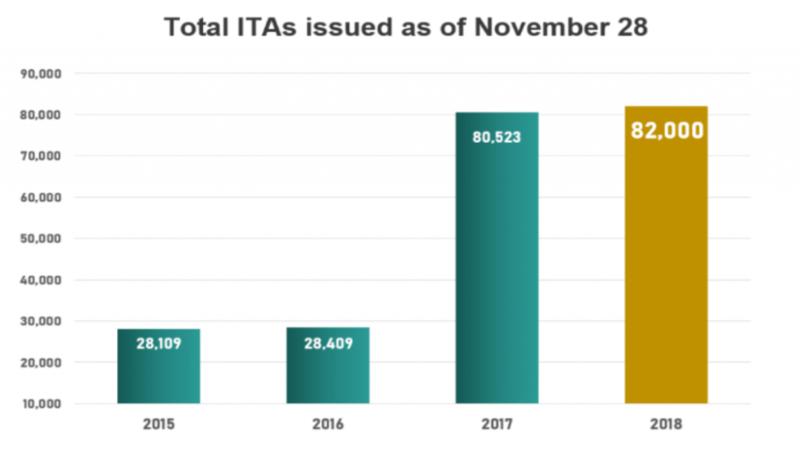 Having another month to go in 2018, Immigration, Refugees and Citizenship Canada (IRCC) is now only 4,024 ITAs behind from breaking last year’s record of total invitations. IRCC had set a target for invitations under Canada’s updated multi-year immigration levels plan. 74,900 new permanent residents would be admitted through the Federal High-Skilled category. Admission targets are set to increase each year between 2019 and 2021. A total increase of 18.6 per cent over the 2018 target is expected in the following years. If you are interested to apply to Canada through the Express Entry pathway, then Immigration Experts is there to help you in this regard. Feel free to contact us on the following details.